Mountain Biking in Indian Himalayas is one of the life time experience for the adventure enthusiast. Mountain Biking Tours in India is one of the once-in-life experiences. Adventurous, exciting, fun and full-stroke speed, experience all the emotions together with the most reveling Mountain Biking in India. Feel the euphoria of Cycling Tour in Himalayas and other majestic corners of the Indian land! Wonder the thrill of being at the top of the mountain with bike as the only companion! You never know which way is right or wrong, just believing your instincts! High altitudes, unpredictable weather and uneven roads, there is no leeway left for ultimate fun. Well, this all happens while over-the-top Mountain Biking Tours especially in India. Mountain Biking in India: View Exotic India! Sky beating mountains covered with glazy white snow, multi-shaped rocks and steep roads and gullies, best way to learn about them is "Mountain biking". Bike along miles stretched rivers, glaciers, foothills and barren lands with no limits. Panoramic beauty with glimpses of truest face of nature, everything gets pretty proximate while mountain biking in India. The great Himalayas are the finest place to cycle. Its unbelievable and never-seen geographical architecture makes perfect for Cycling. Thousands of cyclists, bikers and other enthusiasts can be commonly seen at its terrains in off and on seasons. Mountain Biking In India: Learn about India! India is a vast land that has different colors, cultures, people, ethnics and lots of other things. Mountain bikers get the chance to live with people who live in such remote places. Their culture, lifestyle, and language everything is pretty different than you have ever imagined. Do you know that in Leh- Laddakh people have built artificial glaciers? What are the myths related to Yeti? Well, you get to know about such trivia only if you mountain bike! One thing that makes mountain biking in India so joyous is the Great Hospitality of the people wherever you go! 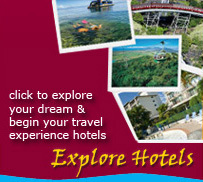 They heartily welcome you as a traveler and will let you get involve in their daily lifestyle. Mountain bikers also are facilitated with shelters, food and any other assistance by the locals! This is the best time when you get to know different races of mankind that you hardly find in towns! You must be amazed to imagine that such painstaking sport can be a learning process as well. Well, that is why, India is a great place for mountain biking! If you want to go for mountain biking in India, all you need to just pack your bag or kit. Services, facilities or whatsoever required for mountain biking, in India every thing is easily available. Also, you get high quality bikes and cycles with modern gears and water bottle cages, helmet, water-bottles, apparels, back pack, etc. Equipments to Safety Measures, here you get everything pretty easily. In addition, you are also provided with mountain guides, maps, tools and other things necessary! Kids, families, or adventure groups; everyone is invited for mountain biking tours. 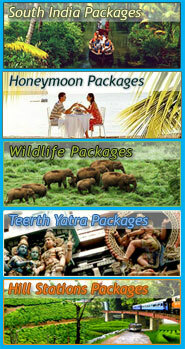 Get a ride to glorious mountains of India now; just need a Call/Click to us! The gentle Himalayas of the Kumaon region must be one of the most picturesque in the country, with giant terrace fields straddling the green mountains. The bicycling track is through flat valleys in the Almora district of the Kumaon Himalayas. The open valleys are scattered with little rivers, villages and small town. The Journey begins at Bageshwar an important religious centre famous for the temple of Lord Baijnath; this is a part of Binsar wild life sanctuary. A dense cover of Oak forests, which abounds in wild life, commonly seen is leopards, barking deer and wild boar. Breathtaking views of snow covered peaks dominate the far horizon. Another destination biker would love to explore is the state of Sikkim, which allows the visitor to get in touch with the colourful cultural heritage and monastic lifestyle of the Sikkimese people. One of best adventure products in Sikkim is mountain biking. The rugged and dramatic terrain of Sikkim Himalayas offers sure and exciting biking trails to the adventure lovers. As Most of the roads in Sikkim are negotiable by mountain bikes. The beauty of the countryside, flora and fauna and lifestyle of the Sikkimese people is best experienced on a bike's seat as you meander through lush green hills and dales. Mostly it is popular in North Sikkim & West Sikkim. Mountain Biking is an ultimate adventure and fun way to explore North Sikkim. From ride comprising of 3/4 days to reach Lachung covering a distance of 115 km and ascending from an altitude of 5500 ft (Gangtok) to 9600 ft (Lachung) this will be an ideal way to discover North Sikkim.